The 34th Renfrewshire Chamber annual golf competition was another great success, with just under 50 golfers taking part at Erskine Golf Club on Friday 8th June. Apart from a light shower on one hole, the weather held up nicely allowing all the players to enjoy one of the top courses in the west of Scotland. The winning team were Glasgow Airport and runners up were Phoenix Car. 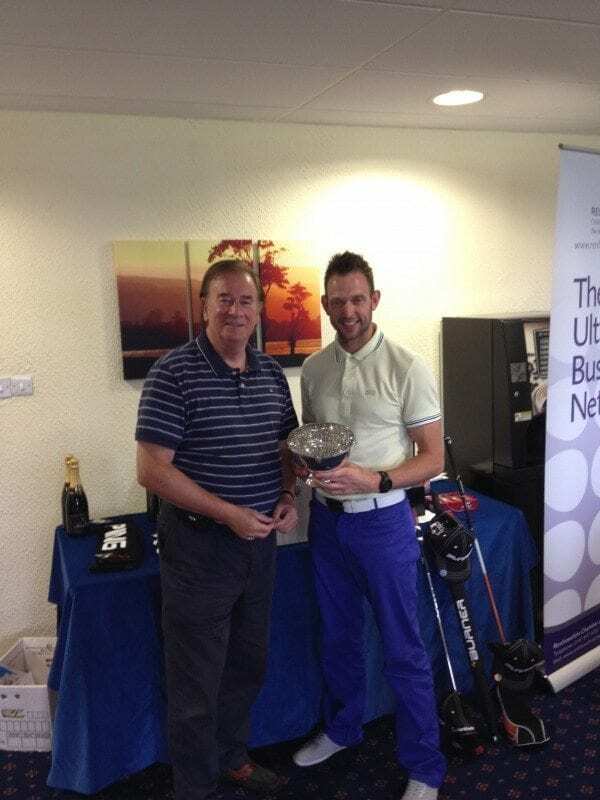 The winning individual was Paul Robinson from Diageo, who also won the longest drive. Runner up was John Sandells from Glasgow Airport. The raffle on the day raised £650 that the chamber will top up to £1000, for their charity of the year, St Vincent’s Hospice. Chamber chief exec’ Bob Davidson, who organised the event said “I would like to thank all the companies that entered a team, supported the event & donated prizes for the raffle. A big thank you to all the staff at Erskine GC for a great event”.